Bringing the clean food movement to supplements has paid off for this online-first, free-from, non-GMO brand. All those legacy Southern California supplements companies might need to make way for the next generation, exemplified by hip, millennial start-up Ora Organic, winner of the 2017 NBJ Small Company Growth Award. The young company, which began exhibiting at Natural Products Expo East in the fall of 2016, grew at a breathtaking 400 percent clip in 2017, and aims to match that in 2018. 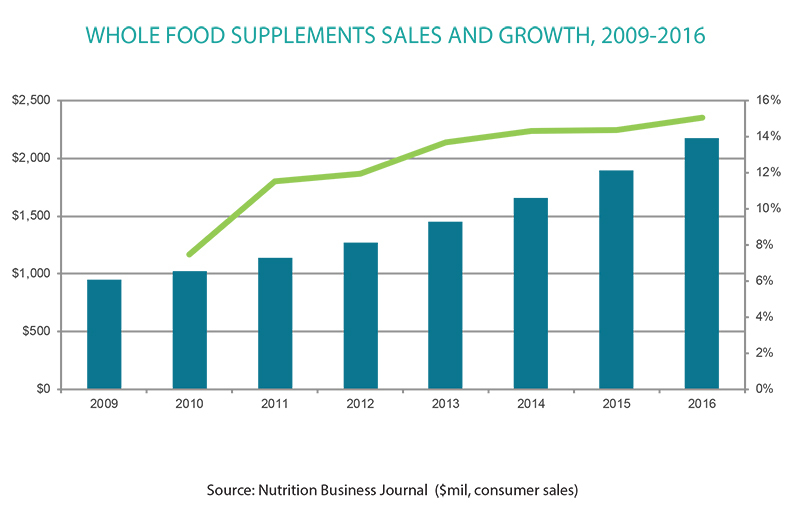 It’s close to a $10 million company today, built on a value proposition that brings the clean food movement to supplements. The company features mostly non-pill formats in either powders or sprays, with all-natural, organic (mostly), non-GMO ingredients. The powders are naturally presented with sumptuous taste profiles, thanks to the vision and expertise of its own in-house chief culinary officer. The company also has a distinctive brand identity, replete with compostable packaging that contains wildflower seeds, so consumers can throw the whole empty box in their garden and watch the flowers grow. It began as an online-only brand, and is using its digital bona fides to attract and maintain an ever-growing bricks-and-mortar business. Ora Organic gained notoriety in February 2017 when it appeared on hit television show Shark Tank, which introduces entrepreneurial companies to celebrities with deep pockets in hopes of being early investors in fledgling companies. At the time, Ora had racked up $415,000 in sales over the first 10 months of its life. Company CEO Will Smelko and co-founder and CCO Ron Chang did an impressive, semi-snarky yet informative 11-minute dog-and-pony show on the company and its mission, and were looking for a $375,000 investment and 5 percent stake in the company. Leary said he’d give $375,000 for 17 percent. As some would say, Shark money is the most expensive money you’ll ever get. That percentage was too high for the Ora team. But this number was a good one: 5,810,000. That’s the number of people who tuned in to the broadcast. Among them were investors who were not TV personalities and who could more closely approximate Ora’s investment desires. The company’s wish list included a mentor who understands supplements and sustainable farming and organics and healthy food and nutrition. The publicity also informed the company that its value proposition could resonate. One notable decision the company made around organic is in deciding where to exhibit at the Natural Products Expos. Every supplements company positions itself either in the supplements pavilion or, if it is a new company, in the hot products section. Not so with Ora Organic. The team made a conscious choice to place their booth square in the organics aisles of the shows. That outside-the-box thinking signaling a commitment to organic, clean, plant-based, quality ingredients—not to mention the whole construct around taste—is what led to the company earning two NEXTY awards at the Natural Products Expos. These awards are given to companies that truly stand out, especially on the triumvirate of integrity, innovation and inspiration. On its first Expo appearance, Ora won the Editor’s Choice NEXTY, decided at the show. Just six months later, Ora won a juried NEXTY at Expo West 2017. Supplements companies don’t usually have to worry about taste. Yet this is a core tenet of the Ora brand. The company’s R&D process starts with Chang, who was a former chef in the L.A. and Santa Barbara, California, restaurant scenes. Tinkering with flavor profiles and combinations to come to the final product takes up many months and dozens of prototypes. The next generation of consumers demands nothing less. Ora Organic is a mission-driven supplements company serving this consumer desire. And making a fabulous return in the process.